While most basements can be waterproofed by repairing or improving on the existing foundation, there are extreme cases where a basement foundation repair is not possible. 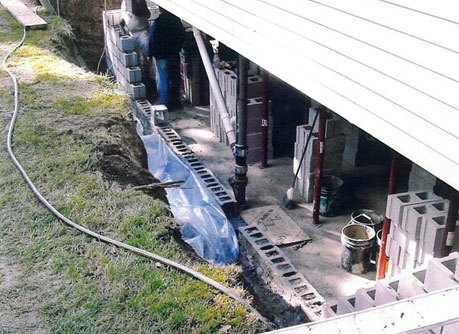 If your foundation was made with low-quality materials that eroded over time or other damage has left it irreparable, EverDry Toledo can renew your basement with a foundation replacement. Foundation replacement has a major impact on landscaping, driveways, sidewalks, utilities, and other items surrounding your home and therefore is reserved for only the most serious cases where basement wall repair is not possible. The process of replacing your foundation depends on many variables and is different for each house. If you think a foundation replacement is necessary, it’s important to act quickly before your home’s stability is compromised. Contact the experts at EverDry Toledo before it’s too late! Rebuilt walls are covered under warranty for one full year.